Canning aftermath. I so wanted to go hide! I'm not perfect... there, I said it. So glad that is off my chest! It's the truth: my life isn't perfect... my kids aren't perfect... my marriage isn't perfect. My house is rarely cleaned right, my bills aren't always paid on time, my meals are sometimes over/under cooked and I haven't had a real haircut in almost a year. I buy my clothes at the Goodwill or $1 rack at Wal-Mart, my kids wear hand-me-downs and I can't quite remember the last time we took in a movie at the theater.... wait, yes I can.... Epic,when it first came out 2 summers. Oh, it feels so good to get ALL of that off my chest!! Last week I blogged how "I am not them" and shared the reality of trying to live up to a standard which wasn't set for me. This week I realized it goes both ways: sometimes others try to live up to a standard I accidentally set for myself.... an image which is produced by stuffing under the carpet those ugly things we don't want others to see because then maybe, just maybe, they will think less of us, less of me.... or worse, less of the message God gives me to share. Typical school day... typically when someone stops by, right.about.now! My kids need regular reminding to stay on task. This has been a good week... but many are not. I feel like a failure as a mom and a teacher and I want desperately to look like a success. To see my kids remember where New Zealand is located on a map or why the Silk Road is significant. To solve simple equations in their mind rather than taking a solid minute when a cashier decides to pop-quiz them on expected change. To not seem unpatriotic because they don't remember all the words to the pledge or the national anthem and not seem sarcastic because they don't understand the importance. And by the way, despite our travels across these great states, they still forget where Idaho is and are clueless on most capitals. Is it because I fail to do my 'job' or do my job right that my husband gets erked with me, my kids slip up or my house looks like a train wreck up until 30 minutes before my husband walks in the door (we do a "daddy's on his way home" clean-up so he doesn't think we slouched off all day). It is because I work so hard to fill my kids and my home with all the right stuff that my pedestal crumbles.... the one I never belonged on in the first place. It is a passion for truth and right which compels my husband and I to be at odds.... only recently recognizing how much we have in common except that we don't communicate our passions clearly or seek the same directives to reach the same goal which drives us at odds. It is my deepest desire to see my children able to communicate well and THINK strategically which drives me to focus more heavily on Bible and language arts learning than almost any other subject. 5 days a week they perform these studies along with vocabulary, spelling, and higher level math. While 2 days a week are devoted to history and science.... important subjects where we focus more on the drive of cultures past than the names and dates and borders they squabbled over. Only this year realizing (and finally implementing) daily map and math fact studies might excel their response time in needed situations. In the lack of value I place in our things and excursions of financial drain, my children have discovered a deepened value in relationships and closeness and all that God has created and given us just through a step out our front door into his creation. Reality check so you don't get this sweet image of me and my kids skipping down a nature trail singing sweet songs: they do complain about some of our nature walks....mainly because they want to stay in and read or play a game! I'm the one pointing out fairy nests and troll hide outs while the older child shakes her head! But most days they do enjoy the fresh air... as long as I don't ask them to draw a leaf or tree or wandering beetle! Total I'm far from perfect story here! My life isn't perfect. As a matter of fact, it is one big mess. But it is a beautiful mess. Do I sometimes wish I had the furniture or school supplies or clothes which give ease: yes. Do I wish we could blow off to a movie or a dinner or a fancy vacation to break the norm: yes. Do I desire a bliss-filled marriage. Yes. Do I wish my kids all said yes mam and no mam and played classical instruments with beauty and passion and read the great authors and quoted Shakespeare and taught calculus to underprivileged.... no actually!!! Ok, maybe some of that. I would at least like them to be less fickle which makes me more frazzled!! My life is... what it is. It is the life God gave me not so I could live it wishing and wanting it to be "perfect", but so that I could learn and live and love what.it.IS; perfectly imperfect. The trials you face today are the wise counsel you will provide tomorrow. His Purpose. His Plans. His Reasons. God has it all in His hands, He knows what you are going through right now, and it's all very MEANINGFUL.... None of it is random. And you have a beautiful future in Him. Keep enduring. Persevere, Mama. It's worth every moment from an eternal perspective, and that's the only perspective that matters. I slept so wonderfully after that. Of course I am inadequate. God didn't create me to be perfect He created me to lean into Him in all things and how would I see that need if I had it all together? I don't want a perfect life.... I want the life He has for me and I want to glorify Him and all the wonderful things he does through this beautiful mess I call my life! My prayer for you today is that you will embrace your wonderfully imperfect life with gratitude and not, for a minute, think anyone is better than you or has it more together... or that you need to proof that false idea to anyone else.... we are all a work in progress! Let His glory shine through your beautiful mess! Hahaha--Amanda, this is great! So glad you dropped by my place while I'm cutting out my art journal--and were inspired to do the same. Your blog is so refreshing! Love your candidness. I struggle with comparisons to some of the super-bloggers out there, too. Trouble is, I'm a 50-something comparing myself to all those tech savvy 30-somethings. Ha! They were all in my youth group when I was a 30-something--and there was no Internet. Coming of age now, I guess, as I've only recently finally published my first book. I wonder if you might be interested in reviewing my recent picture book release. E-mail me for more information. 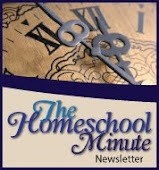 I designed the book series with homeschool families in mind. I'm glad you enjoyed it. 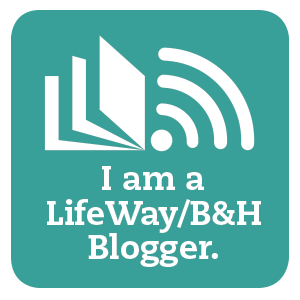 My heart and hope is that all who pass through the 'doorway' of my blog will feel refreshed and at home :-) I'm in the 40-something group and transitioning into teen and adult years with my kiddos. It takes constant reminding of self to simply be ME, how God created me and the time I am in because, yes, comparing myself to the youngers makes me feel like I forgot something somewhere! All these things and lovely people are an inspiration... not an aspiration! That is the trick. And knowing I struggle with it, I realized, others do too and I certainly don't want to set a standard unless it is to point to Christ.... the only standard worth meeting together on! I will email you about the book series. Thanks for stopping by! Thanks for swinging by, it is good to meet you too! I'm blessed to know you enjoyed the article :-) I felt it was time to just be honest with myself.. in front of the whole blog world!!! Blessings to you! Amanda this was a good post. Thank you for sharing how normal your life is. We have the tendency to think we are the only one or to think that we just can't reach the bar!! I am only beginning to learn the value of real contentment. Often, I find myself comparing my life to the lives of others, but as you said, God has a purpose, a plan, and a reason. Amen to that! Your vulnerability and honesty is refreshing. I've encountered thousands of women in my years of writing and speaking, and one of the biggest obstacles they face (and that I have faced) is this sense that we have to hold it all together, that everything hinges on our own good performances, that we'll be "found out." It's so exhausting. And God is inviting us to rest in Him. Thanks for your great post, and for linking with me at #TellHisSTory. Thank you Jennifer. I'm in a season of embracing this truth. I could never understand why people put me on a pedestal. I knew I didn't belong there. Then I realized, it was because I never let people see me fail... instead I would draw in and hide until the chaos was over. We all do that at times because we think no one else endures hardships and we don't want to look like the defective one. God has been speaking to my heart, encouraging me to throw off the exterior and invite others to 'be real' with me so through our mutual brokenness we can be healed by the great physician! Thanks for swinging by! I love your blog insight and enjoy the weekly link up!